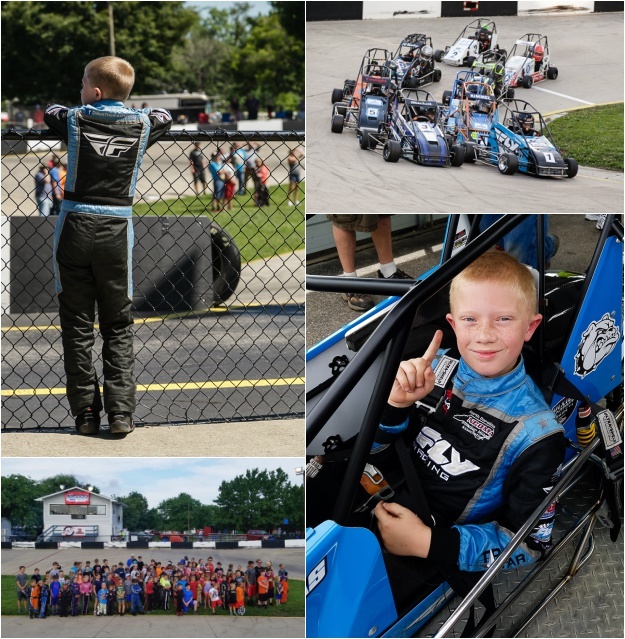 7/1/2017 (Mini Indy): We raced Jr Honda and Lt 160 for the first day of the Midwest Thunder regional race at Mini Indy Speedway in Indianapolis, IN. The MWT races use a heat race format for qualifying, instead of timed laps like we are used to. Dillon rose to the challenge in his Jr Honda, winning his heat race and securing the pole position for the A Main. In the Lt 160 heat race, Dillon started in 4th and fell back to the rear on the start. He was able to make it up to 6th for the finish, but ran out of laps before he could do anything more. This put him starting 6th in the C Main to try to make it into the feature race. Unfortunately, he ended up in a wreck in the C Main and Ron wasn’t able to get the car fixed before the work laps were up, so that ended our attempt to make it into the Lt 160 feature race. In the Jr Honda feature, Dillon started on the pole and a good lead on the field, but a caution ended up bunching everyone back together. After the restart he and the 2nd place car started swapping the lead back and forth, unfortunately this allowed the 3rd place car to catch up to them and the 3 cars ended up wrecking. Dillon ended up having to restart at the tail of the field and was able to work his way up to 7th in the handful of laps remaining. 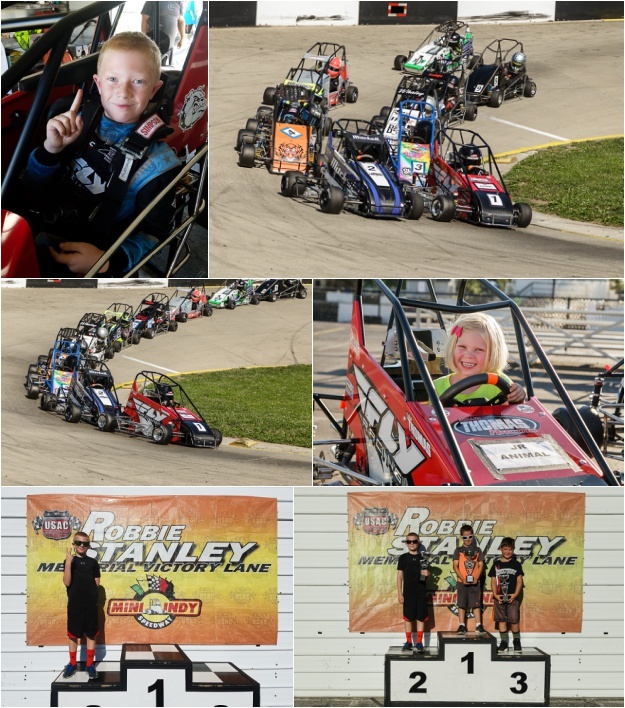 7/2/2017 (Mini Indy): We raced Jr Animal for day 2 of the Midwest Thunder regional race at Mini Indy Speedway. Dillon was able win his heat race after starting in the 6th position, once again locking himself in to start on the pole of the A Main. He finished 2nd in the A Main, finally landing a spot on the podium at this track for the first time.